You probably will not need this every day, and I admit that goes for me as well. Today however I needed this: screen recording things I’d be doing on my iOS device (iPhone, iPad, iPod). In the past we’d need to JailBreak our iOS device, but with the arrival of Mac OS X Yosemite (10.10) and iOS 8, we can do this straight on our Mac without any extra tools or tricks – just with the build-in tools from Mac OS X and iOS, in this case QuickTime. 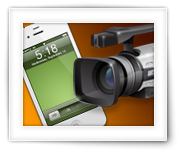 In this article I’ll show you how you can make a screen recording (make a video of the screen of your iOS device) with a well hidden feature of QuickTime. You’ve probably seen it before … so called “screen recording”, where a person makes a video of his or her actions on their computer, typically for instruction purposes. One of the best known applications for that purpose is Camtasia. But it’s unfortunately not free and it doesn’t record your iOS screen (yet). Note that QuickTime can do Screen Recording of your Mac as well – “File” “New Screen Recording“. But why look for a 3rd party application when you can do it just with the build-in tools of Mac OS X? There are several reasons, of course, why you’d might want to use a commercial application, but for the occasional user, this solution works well and is completely free. I’ve tested this in Yosemite and in El Capitan (beta 3), and it works butter smooth. For this we need the USb cable that came with your iOS device – so either the old connector, the newer lightning cable, or once they become available a USB-C cable (not sure if that’s going to happen). You will need to unlock your iOS device and click the “Trust” button when asked if you trust this computer. When QuickTime starts, it will begin by asking what file to open – which is not what we need at this point. You can click right away the “File” menu and choose “New Movie recording“, or press the key combination Option-Command-N (N). 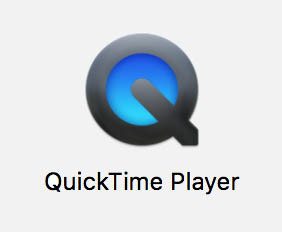 QuickTime will initially start by using your build-in iSight camera (webcam), again not what we wanted. To select the correct video source, click the downwards facing “v” next to the red record button (1) to open up a menu with source options. This is where you can now select your iOS device (2). You may have noticed that (might be depending on your Mac OS X version) you can even select which microphone to use – in case you’d like to narrate your video – and if you’d like “High” quality or “Maximum” quality. Right after clicking your iOS device, you should see the screen of your iOS device on your Mac desktop. If your phone is locked however, nothing will show, so make sure to unlock your phone (and possible “trust” this computer). Click the “record” button and do whatever you wanted to record. QuickTime will record it just fine. Click the “stop” button to finish. You can save the file as a .mov file. This is an older QuickTime file format. Simply click “File” “Save“, enter a filename and click “Save“. Now, the .mov format is ancient and will result in a big file. The better option is to use an MP4 variant (M4V) and this can be done by using “File” “Export“. My prefered format would be “iPad, iPhone, iPod touch & Apple TV“, and then pick the option on the far right, which currently is “iPad 2, iPhone 5 & AppleTV” and results in the highest resolution. and the time is set to 9:41 (AM) or 9:42 (AM). As for the very particular time; legend goes that 9:41 AM was the desired time for the Keynote presentation of the first iPhone (January 9th, 2007). True or not … it’s amusing at best. 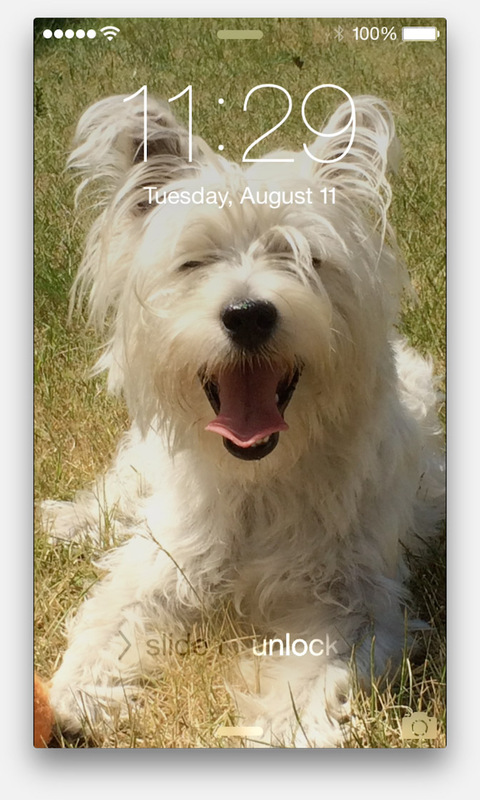 Some iPhones show 9:42 AM, so … not sure what to think of that . Although this will have no influence on your actual screen recording, a very minor lag is noticeable. So this method might not always be the best for realtime things like gaming. This will however have no influence on the recorded audio. QuickTime will adjust to the orientation of your screen. It’s definitely a good idea to keep in mind on what kind of device you’d like to playback the video. For example, if you are planning on using a TV and you’d like to use the available screen space optimally, then landscape would be the best option – if the application you’re demonstrating actually supports/uses landscape mode. The lock screen can be recorded, but time isn’t keeping up with 9:41 AM. There are 33 comments. You can read them below. Thank you for sharing this valuable tips. And for people who have Windows PC, Apowersoft iPhone Recorder may be a good option. normally I would have taken out this message, as it seems like you’re promoting your product (or someone you’re affiliated with). Hi, how can we record iphone screen capture including touch pulsations? I read that Camtasia can do this (link), but have not tested this (yet). Has the record iOS feature been removed using El Capitan? I am not seeing the option to choose my device once I follow the steps. I just double checked with the latest iOS (9.3.2) and MacOS X version (10.11.6 beta) and this trick still works. 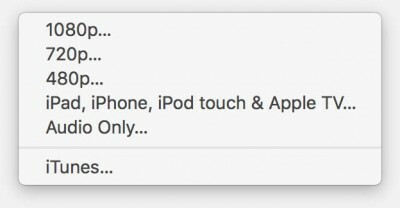 You might have to click “Trust this computer” on your iPhone once it’s connected to your Mac. You iOS device should appear as seen in figure 2 (above). In case you get an error message in QuickTime, just try it again without disconnecting your phone. An interesting alternative would be an App called AirShou, written by Tyrone. It’s free, does not require a jailbreak, provides better recording supports. You can download it from Cydiageeks.com. This is a very comprehensive post, love the way you break down each step together with instructive images (made it easier to follow). Although it has been a year since you wrote this article, still, it holds pretty well. QuickTime works amazingly great. Like you, I also love using the app to record iOS screen videos on my Mac whenever I need. #1: In case you want to update your article (in the second section). 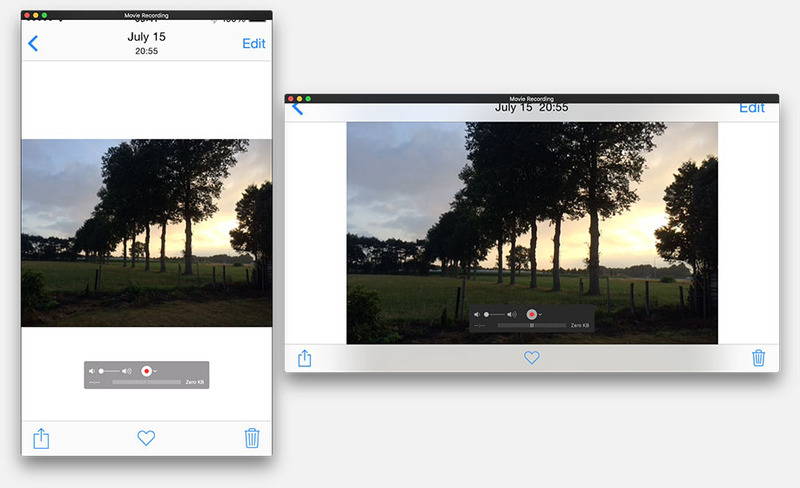 Camtasia does include the feature now, you can use it to record iOS device screens just like QuickTime does. And the nice thing about the software is that it allows you to add device frames and edit the videos (which QuickTime doesn’t support). However, the feature is only available either you’re using the 30-day free trial or have purchased the full version. 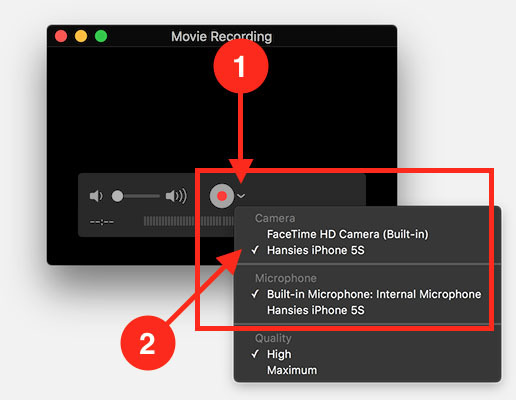 #2: There are some apps out there that do allow us to directly record screen videos on the device (without connecting the iOS device to Mac). I’ve tried Refector 2 and it works. However, it’s not free (about $15 if I remember correctly). Thank you JP for the tips! Very detailed post! Thank Hans, but unfortunately, this solution only can be used on Mac. I’m using Windows PC, it’s hard for me to find a good screen recording app. I’ve recently found a post here, it didn’t help me directly since all the solutions for Windows require installing a paid application. But then I had the idea that I could install an app allowing me to mirror the iPhone screen to the PC, then I use Camtasia (a Windows application I already have) to record it. The video quality is not extremely good but I think it’s enough for me. Yes, this trick is Mac based … not sure if the QuickTime version for Windows supports this, but honestly doubt it would work (Apple even dropped QuickTime support for Windows). Thanks for posting your fix – which made me think of looking for AirPlay capable software, which might have recording abilities. Thank you for these instructions, really helpful!! 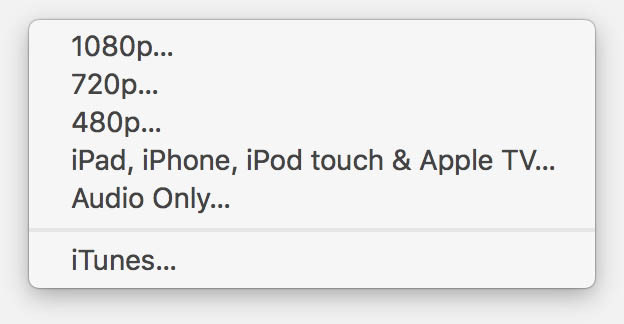 But I cannot get my iPhone 6 to connect – I don’t see them as an option in the drop down menu on Quicktime. The lightening cord works/connects just fine. Any thoughts on what else I could check to fix this? 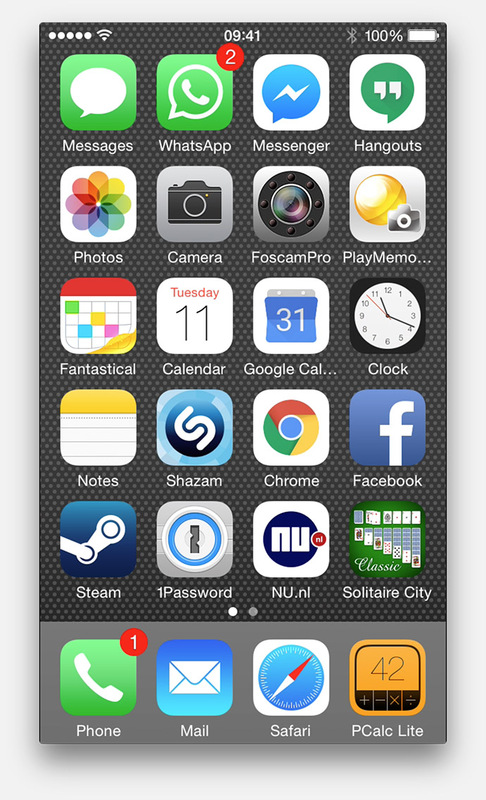 I used to record my iPhone screen with Acethinker iPhone screen recorder, never had that problem. Are you running MacOS or Windows (QuickTime for Windows hasn’t been updated in a very long time – pretty sure Apple doesn’t even support it anymore)? Did you confirm/get the “Trust this computer” on your iPhone after unlocking the iPhone? Do you see “New Movie Recording” in QuickTime Player? Thanks for the tip, however when looking at the use of “Tutu Helper”, I’d be very nervous about how safe it is to use this. According to this Reddit post it’s most certainly not safe, even though I wouldn’t go that far. The problem is that it seems to require a lot of access to services on your phone that may not be related to what you’re planning to use the app for. I wouldn’t use it, simply because I don’t know if Tutu Helper can be trusted. I still feel that safety might be an issue, several sources concur, and the fact that it offers paid apps for free suggests that some things might be sketchy as well. Just saying,… on Android I noticed that a lot of users complain how it requires a lot of questionable access rights. Does anyone know where to find the list of available apps? in this day an age, we all should become more skeptical about applications that go around the app store. TutuApp is totally legit, I can assure you that. There are some pesky ads but that’s about it. It doesn’t snoop around in your data or install sneaky software on your iPhone. Thanks Luca for the feedback. Just found out a new and better alternative (Panda Helper) that I am using on my iPhone. https://yalujailbreak.net/panda-helper-vip/ Seems good so far. Thank you for the link. I’m still not comfortable with these kind of tools, especially when they are of a commercial nature. For all reading this: Use this at your own risk, at this point I cannot recommend going this route for most users. Even I find some interesting text written in everycord-ios.com when I was searching for a Screen recorder from iRec. I am using EveryCord now, I didn’t see any issues so far except the certificate revoke. I hope tutu helper Team is providing legitimate apps. I have not yet tried Tutu – the revoked certificate though might indicate the trick they are applying. Thank you, Hans, for the Very detailed post! but unfortunately, I am a Windows 10 user and this method is all about MAC and it looked hard to find a good screen recorder app. I’ve recently found a post here, He shows that by using the Cydia we can record iPhone screen via the AirShou, which is a tweak app. The video quality is not quite good but I think it’s enough for me. Maybe it’s kind of crazy idea but i just want to share my experiences with you. To use the new screen recording feature, you’ll first need to add the feature’s button to Control Center. Open Settings -> Control Center -> Customize Controls, then tap the green plus button next to Screen Recording. On your “Control Center” you’ll now see a new button, it’s round with a dot inside of it. When you tap that button, you will have 3 seconds to get to the screen where you want to start record. The statusbar of your iPhone should now turn red. You even have the option to narrate your actions right away (long press the button, instead of a single tap). When done recording, tap the red bar and your video can be found in “Camara Roll”, where you can share it with others or download it to your computer. Super crisp video quality! Glad it was of use to you – and thank you for taking the time to post a Thank-You note! My favorite media player for Windows - light weight and supports all common video formats. Freya, a.k.a. Elementary OS, is my favorite Linux distribution. It looks slick and works great. Highly recommend it.